Q: Greetings sir. What are your thoughts on NEET? A: I am against this examination system of NEET. The elected state government should decide what kind of education system should be given to its people. A government which is far away and does not have any direct connectivity to people, cannot claim that they are the custodians of the education system and hence will conduct this examination. Second, a change is needed, only when the existing system has gone bad. The present system has its positives and negatives. In the existing system, we are not able to get a proper representation from Government schools. This led to Namakkal type schools have come up in large numbers. Third is the admission criteria and capitation fee of the Private Medical colleges. Out of this, The Tamilnadu Government has clearly spelt out that, it does not object to NEET exams for Private medical Colleges for their Management Quota. That is my stand as well. So, let’s look at the other two negatives. The students from government schools should get more seats. We should have done that in the last ten years which has not been done. Both the education department and their policies have missed this. Secondly, we should have curbed the growth of Namakkal type schools by proper policies. That has been missed out as well. The Medical colleges should be represented by the entire cross section of the society – Students from Government schools, More women, widows, children of Intercaste marriages, sports persons, people who had excelled in extracurricular activities etc. Tamilnadu is fortunate to have hundreds of educationists like me to get all this implemented. NEET examination did not solve any of these issues. 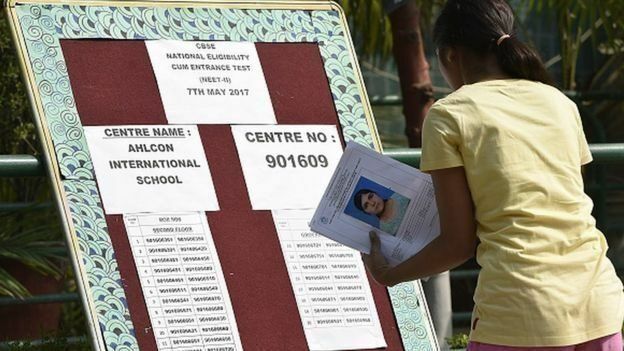 After, the implementation of NEET did government school students get maximum admissions? NO!! 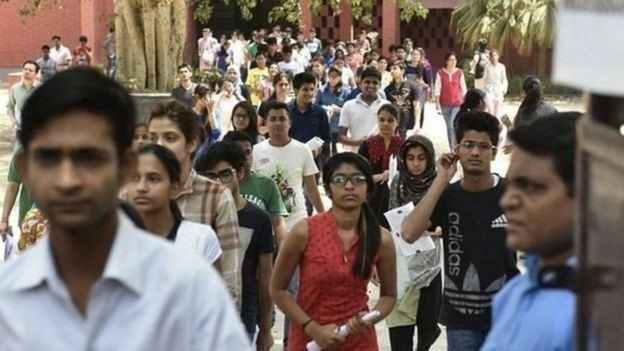 After the implementation of NEET, has the fees in private medical colleges reduced? NO!! After implementation of NEET, we now have Kota (Rajasthan) broiler models and Trichur Broiler models instead of namakkal broiler schools. Why do we need this NEET exam which does not solve any of our problems? Our state government should take medical education in its hands. With the help of genuine educationalists who truly have a stake in the welfare of the state, there are hundreds of them; we should design our own education system. And as I had mentioned earlier, it should be representing the entire cross section of the society – girls, widows, students from rural area, sportsmen, first generation graduate etc. This is not difficult. You just need will power to do it. You need an organization and a government which encourages all this. The first two are there whereas the third one is missing now. We should work towards that. Q: You have studied in Madras Medical College. You have passed the AIMS examination. Is there any difference in the standards of AIIMS and Madras medical college? What are your views? A: I wrote the AIIMS exam in 1986. After that, I have worked as a professor in Madras medical college. As assistant professor, professor and then director. I have visited AIIMS many a times on work. Students studying in AIIMS are very intelligent. You call them as ‘cream’. But our students are no lesser than them. One thing missing in our students is exposure, if we give our students exposure like students of Delhi, and then there will be no difference. Apart from this if you compare the quality of medical care, I will not say that AIIMS is better than any of the medical colleges in Tamilnadu. Infact, TN colleges are pioneers in many areas. For example, there is no Vascular Surgery Department in AIIMS. Madras Medical College has vascular department for the past 40years. Tamilnadu was the pioneer in producing vascular surgery graduates in India. Till date, AIIMS does not have a vascular surgery department. Q: Net-Net, can we say that Tamilnadu is a pioneer in Medical education and Healthcare. There is not great value addition from the centre? A: We can say that. We do not get much value addition from Delhi. Tamilnadu Public Healthcare department is a complete one. It is a 4 tier structure comprising of Medical colleges, District Hospitals, Taluk Hospitals, Primary healthcare Centres and Sub Centres. All of this are properly structured and administered. There might be some deficits in the system but they are minor and can be easily resolved. Since, other states do not have such well-knit system, you see them having very poor scores in public healthcare like infant mortality rate, maternity mortality rate, anemia etc. we have developed this system in the last 40-50 years. NEET exam will destroy this system. Q: AIIMS and JIPMER have been exempted from NEET exams. But Christian Medical College has not been. CMC vellore is considered as one of the best Medical Colleges and Hospitals in the world – won’t they know how to select students for their college? A: It is a political intervention. NEET will destroy this. Hope NEET supporters realise this. Q: People, who oppose NEET, present another argument – Tamilnadu had earmarked 50% of the seats for its Post Graduate Medical courses for Doctors who work in Government Hospitals and rural health centres. Now, this service quota has been abolished. People say that hereafter, doctors will not have any incentives to work in government hospitals. This will adversely impact the availability of doctors for Government service. A: Definitely, first of all we must have some clarity, why do we produce doctors? To send them to England or America? No, we produce them to send them serve our villages, if we are clear about this, then we can be clear about the criteria for admission. We don’t want doctors who want to go to America, let them study in AIIMS or Private Medical Colleges. Our doctors must go to primary healthcare centers and government hospitals. Doctors who are ready to go there should be given reservation. Only then they will be ready to go there. I won’t even call it as an incentive. It is a good economic concept. Only then can we give high end healthcare to all sections of people at very minimal cost. There is nothing wrong in giving 50% reservation for our students who are ready to work in taluk or district hospitals. NEET exams are breaking this good system. This will be catastrophic to our healthcare system. For example, take my department of Vascular Surgery – Doctors through service quota, studied vascular surgery and went back and created Vascular surgery department in Madurai, Kilpauk and Thanjavur Medical colleges. Now, all the seats are given up to All India Quota. Some Chatterjee, Mukerjee all will come, study in our Medical Colleges and will get back to their states. There is no use in conducting the course for them. But what do they say in NEET is, to get a bond for 10 years and 20 years but it is unfair for both the parties. Just because a person to came to study in our land we cannot arrest him for 10 years. Let him do service in his land, that is fair. Our point is, we did not build colleges for other state people to come and study and go back. We should use our infra structure for the development and healthcare of our people. Q: They say this bond system is impossible to implement? A: Even if it possible, it is not fair. Students coming to study from north, should work here for 10years is not right. Q: We are told that Super specialty courses after post graduation, almost 170 seats in Tamilnadu have been given up to All India Quota? A: yes! I just mentioned about the MCh – all these are super specialty courses. All these will completely come under All India quota. Q: is this not justified? A: Definitely not .. we created the course through hardwork. We trained professors for this, selected students and created this higher course , not fair in giving to someone else. If we ask this, they are saying go to Delhi and study M.C.H. When we have sufficient seats here itself, why should our students go to Delhi and study? In U.P where the population is 20 crores, they have 8 seats for nephrology. In Tamilnadu, which has a population of 7 crores has 16 seats… Every year we create 16 kidney specialists. Why should we go and study there when we have seats in Tamilnadu? Q: Are there not stringent criteria for creating a super specialty courses sir… like hospitals with so many beds, professors etc.? All this was created after so many years of work by us. How can it be fair to give it away to All India Quota? A: Not fair at all to give it away. Q: Education was a state subject but during emergency it was added to concurrent list… and specifically, union central government seems to have got a strong hold over it. A: Not just Medical Education. Technical studies are not different from other academic studies. First we should remove such classification from our mind. There is no difference between disciplines. You can’t say let the State look after some and the central look after others. Education is the same. Saying, studying history is of lesser importance, let the state look after it and Medical and engineering Education are of greater importance let the union government look after it, is wrong. Education is something which will uplift man, discriminating one against the other is wrong. A: Yes, the more the powers are decentralized, the deeper you take it to the villages, the better and stronger will the federal structure become. It will not become weak. The people in Delhi refuse to understand this basic truth. Q: The Tamilnadu Medicine Procurement Organisation is said to be an unique creation in Public Healthcare. It is said that it is very successful that WHO and many countries have studied and adopted this system? What are your views on it? A: I was involved in it from the time it was started. I know completely about it. Earlier, every hospital would buy their requirements on tender basis. Lot of issues were there in that system. You will know- what kind of problems will arise in it . During the tenure of a Health Secretary called, Poornalingam, this was started. The medicine needs of all the hospitals were collated and were sourced centrally at the state level through a transparent system. This gave lot of advantages – The collation led to procurement of a large volume which led to great reduction in procurement costs. We had centralized labs in one place and the procured medicines were tested and the qualities of medicines were ensured. We then went on to create district warehouses and from there the required medicines were sent to all the hospitals in a transparent manner. This is a very good system. Q: This system was the first of its kind in India, I suppose? Q: It is said that all the Heads of Government, irrespective of political affiliation, have continuously focused and supported Health care initiatives in Tamilnadu. What are your views? A: Yes. When it comes to healthcare, we cannot differentiate between parties. Mostly, this depart was governed by officers. Political interference was minimal. Maybe in a few places. But largely supportive. But for the support and focus, we would not achieved so much.